Anyway, as the song went on, a small – anonymous – voice from the back seat joined in the chorus. When the song ended, he asked for it again. And again. When the album was allowed to continue, a wistful voice said that it couldn’t wait until it could hear it again – a wish soon to be granted. No one would dare make fun of these guys for wearing pink and skirts. 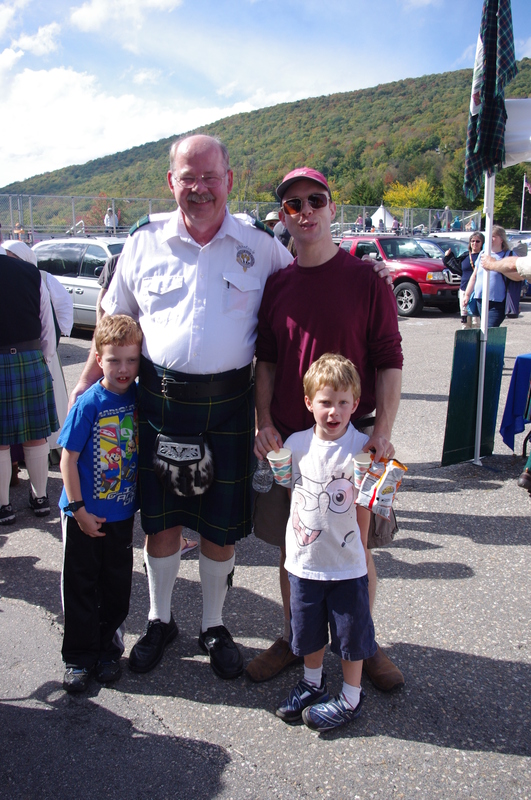 I explained my Scottish heritage to my sons. I told them the rated-G version of what it meant to be a Johnstone of Clan Johnstone. (“Now what’s your clan crest again? !”) Then I took them to the Clan Johnstone tent where their great-uncle was presiding as Clan President (US) over the annual Clan Gathering. 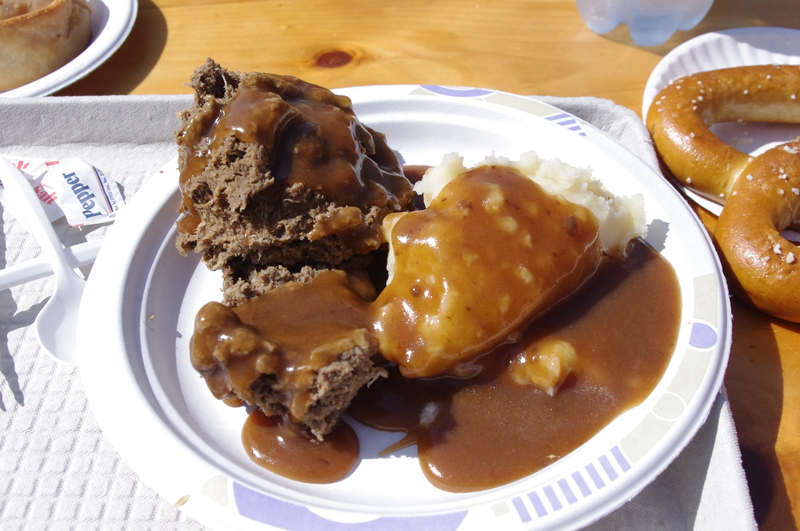 Accidentally showing up just during the clan meeting, my eldest son (the one with the Johnstone in his name) proposed that there should be awards such as best video game player (he would win) and best pie maker (an apparent shoe-in for his mother). We wandered the booths, bought shortbread, watched the world championship caber toss, and saw more people in tartans than I thought possible. (I mean, I don’t have a tartan skirt and I really want one and am a Johnstone of Clan Johnstone! How do so many people gear themselves up so well and so expensively?!) 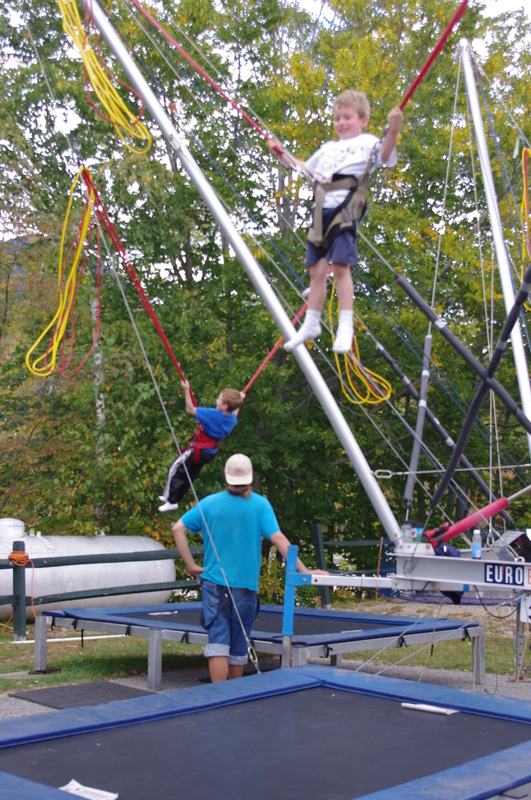 My sons did this super cool bungy jump flip thingy. And a few hours later, we left the buzz of the bagpipes behind and returned home. These two songs have been ringing through my house ever since. Two young voices in my backseat, this morning, were arguing through the lyrics of Melville Castle (is it ‘what will all the lassies dae‘ or ‘what will all the lassies say’? and singing together. So music, this folk music – the kind sung by people you know who are like you – has been much on my mind lately. On Wednesday, word came through my Facebook feed (is it heretical of me to admit that I really love Facebook, and how it has helped me preserve relationships that otherwise would have long since withered?) 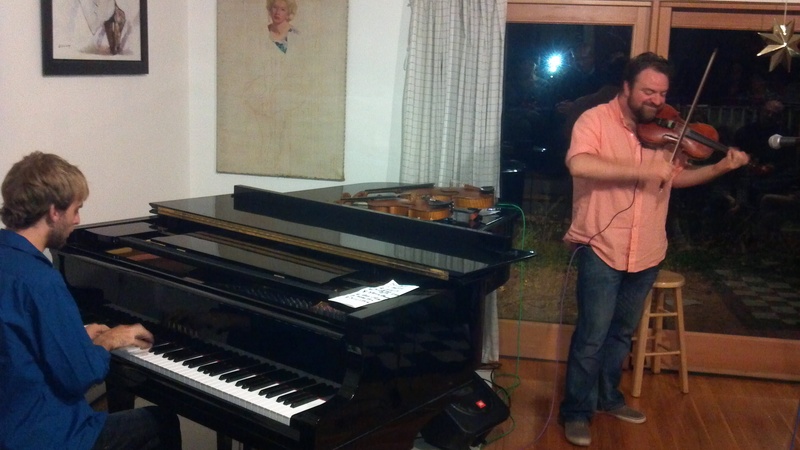 that one of my old Tacoma Youth Symphony alumn friends was in the region, and playing house concerts. Ryan McKasson was a violist when we played through Sibelius and Rimsky-Korsakov together in the first flowering of youth. We probably played together for four or five years. So when my Friday was inexplicably free, and my babysitter (God bless having a babysitter!) was available, and … I found myself in a house in Lexington with the lights on, original art on the walls, an expensive grand piano and cheap folding chairs. Ryan recognized me, remembering my instrument if nothing else. We chatted briefly, and then the sparks flew. There were a few moments, in this modern-day-salon, where I thought about the choices of my life. I come from a corporate job, a skilled craftsman in the new economy. I sit in a cube from 9 am to 5 pm writing emails and connecting threads of different thoughts to weave into a complete cloth of strategic understanding. But perhaps I could have been a musician, an artist. Perhaps I could have chosen to write books or perform trumpet, or teach. I did not. Even in the rosin-dusted air, although I am wistful for my choices, I do not regret them. While there is no art without the artist, there must also be an audience or there will be neither art nor artist. The Tacoma Youth Symphony made my high school years joyous, but it also taught me to be the audience and patron. I gladly and cheerfully accept my role, and would love to practice it even more actively! 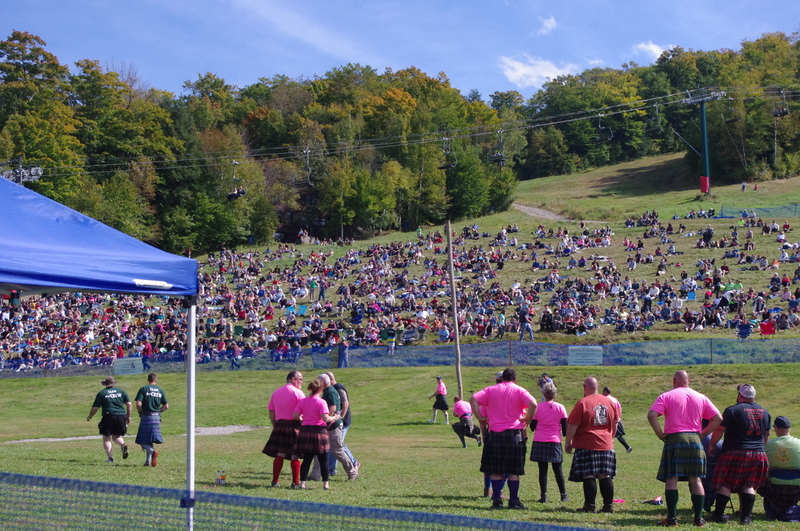 You can see pictures from the Highland Games, plus a few more fall pictures here. About the time your child is two, you desperately long for the day when they want to talk to you and what they have to talk about is *interesting*. Rumor has it this is a short phase, between the obsessive talk of the preschooler and the reticence of the older kid. Grey has definitely entered the time of life where he has things to tell me that I want to know, don’t know, and don’t have anything to do with the how long he’d have to save his allowance to afford Ghost Roaster. We have some really good and really interesting conversations now. 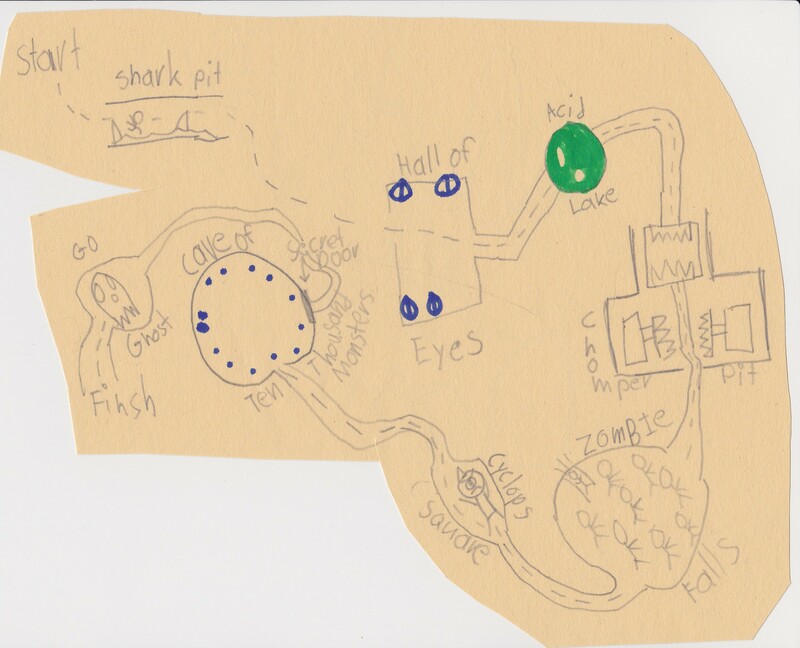 Not only is Grey fun to talk to, but he’s started creating art that is interesting to me. Now, I’m his mom so I’m sure that threshold of interest is lower. 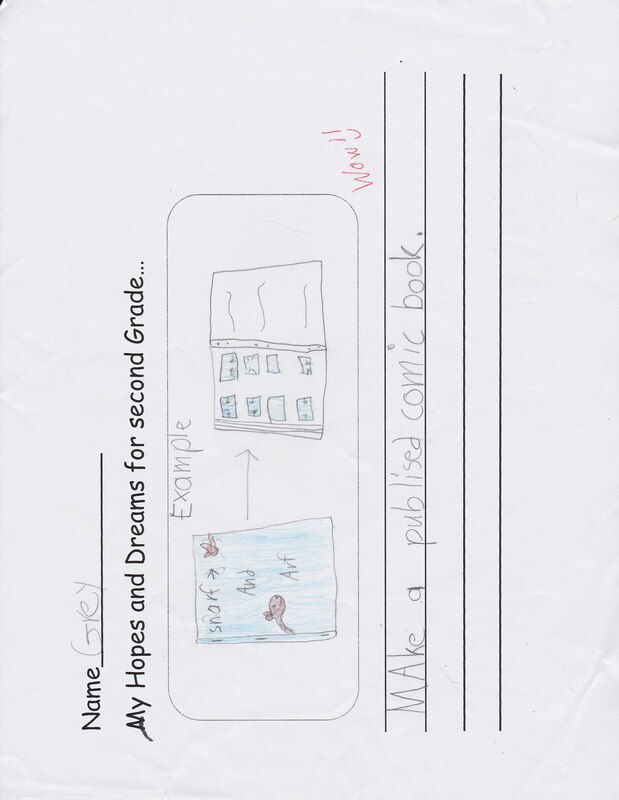 But he brought home his “Goal for Second Grade” paper this year. What do you think his goal is? You know what? I think his goal is AWESOME. And I think he might be able to do it. He draws constantly. He has a box of index cards he uses to create card games with his friends. (Think Pokemon.) 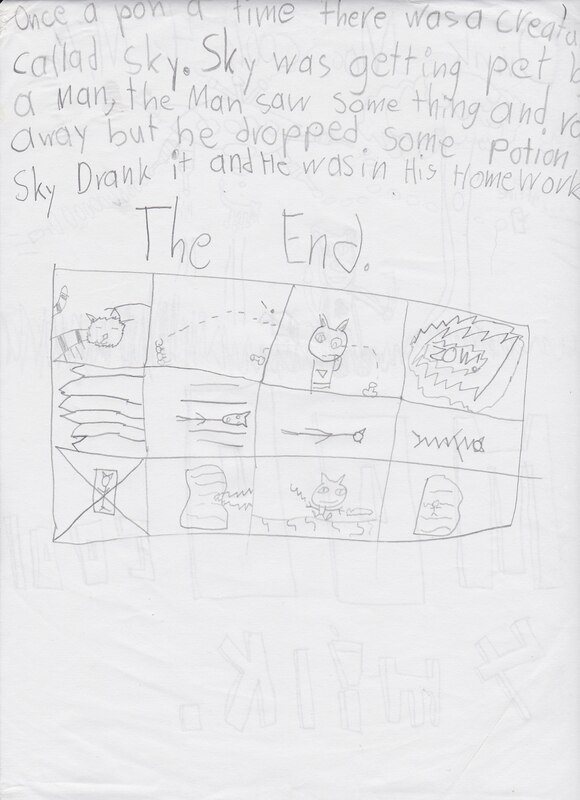 His homework is full of doodles. Every day he comes home with pages of drawings. I’ve always tried to be careful to edit the boys’ papers, and only keep a few from each age and stage. But I’m having real trouble throwing anything of his away. So instead, I’m scanning and saving many of them. I have the inevitable blogger’s challenge of the imperatives of content. So I thought I’d share some of Grey’s recent drawings with you (with his permission – I asked). I’m curious whether you enjoy seeing these, or whether I should just keep these on the kitchen bulletin board. 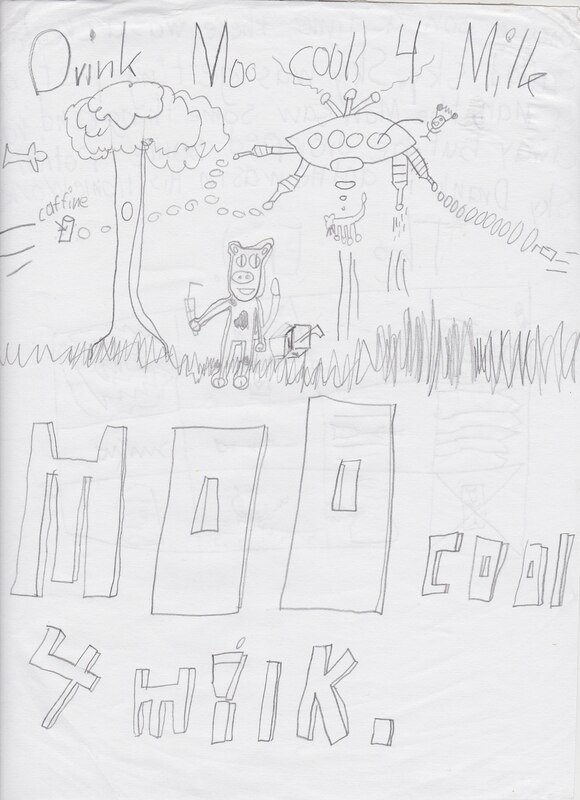 Grey and his brother invented caffeinated “Moo Cool Milk” – chocolate milk. Grey’s working on branding here. I like the dramatic tension of this. 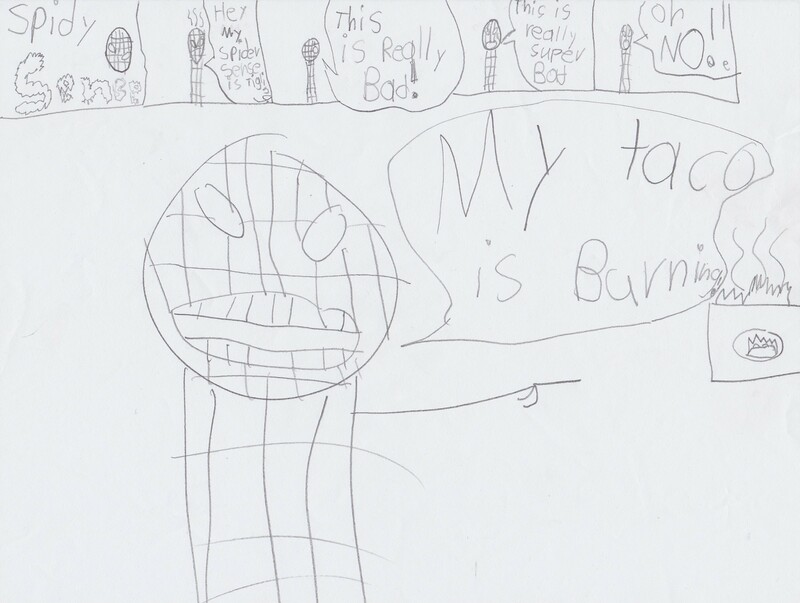 I just need to inform Grey that tacos are rarely what is left to accidentally burn. Grey has been playing some light Fate RPGs with his dad. He’s branched out in to some dungeon design of his own. This is a rare story where he writes, then he shows. I love how meta it is!